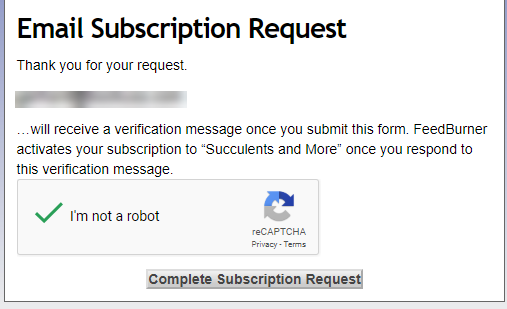 If you've subscribed to receive email notifications when new posts are added to Succulents and More but haven't been receiving them lately, I apologize. 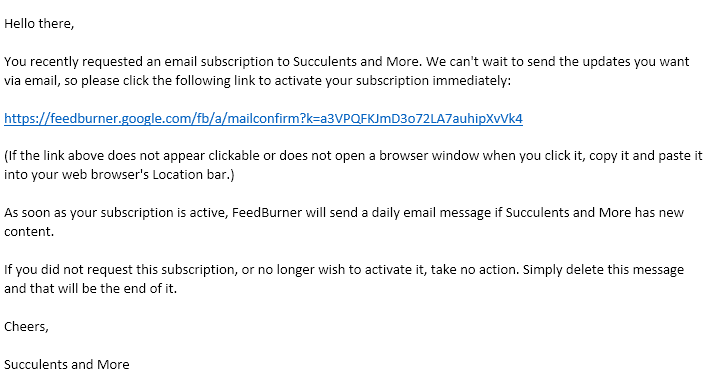 Because of the General Data Protection Regulation that recently went into effect in the European Union, all subscribers need to re-confirm their subscription before email notifications can be resumed. 1. 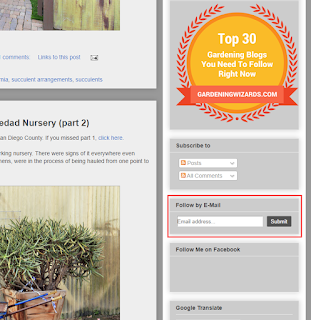 In the sidebar on the right, scroll down until you see the Follow by E-Mail section. 2. Enter your email address and click the Submit button. 3. 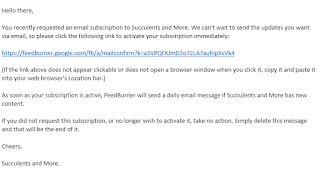 In the Email Subscription Request window, click the Complete the Subscription Request button. 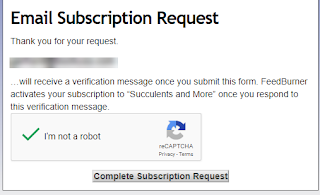 You may have to complete the reCAPTCHA verification first. All done! 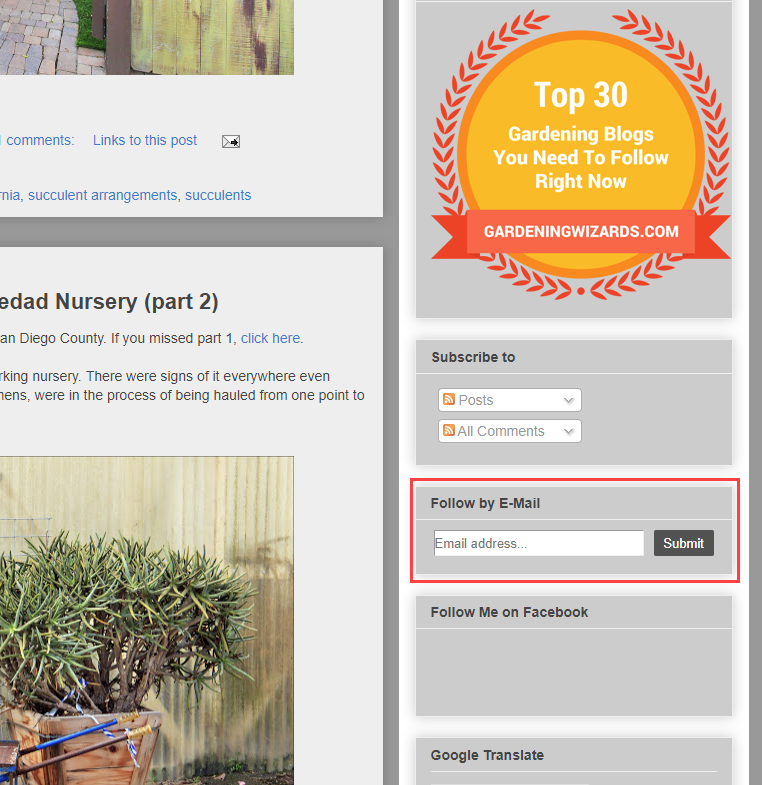 Now you will receive an email notification when new content gets published on Succulents and More. Hmmm, I wonder if the same holds true for my blog? I personally don’t subscribe to any blogs, I read them in a reader, so I’m not hip to all of this. I wouldn't have known either but several people asked me why they're not getting email notifications any more. I can’t do this from my iPhone. I’ll need to do it from a computer. So sorry. I guess Google isn't smart enough yet.